Just a few hours after BlackBerry CEO Thorsten Heins left the stage following his keynote presentation at BlackBerry Live, Sprint announced a vague release date for the BlackBerry Q10, signaling the QWERTY phone’s arrival in the U.S. Not only that, but the Q10 will be the first BlackBerry phone to take advantage of Sprint’s 4G LTE network. While we hoped for a more exact date to be forthcoming, all we have to go on is Sprint’s claim the phone will go on sale in, “Late summer.” So, sometime after July sounds likely. Don’t despair though, as anyone interested in grabbing the phone can register for updates with Sprint right now, ensuring they’re close to the front of the queue. 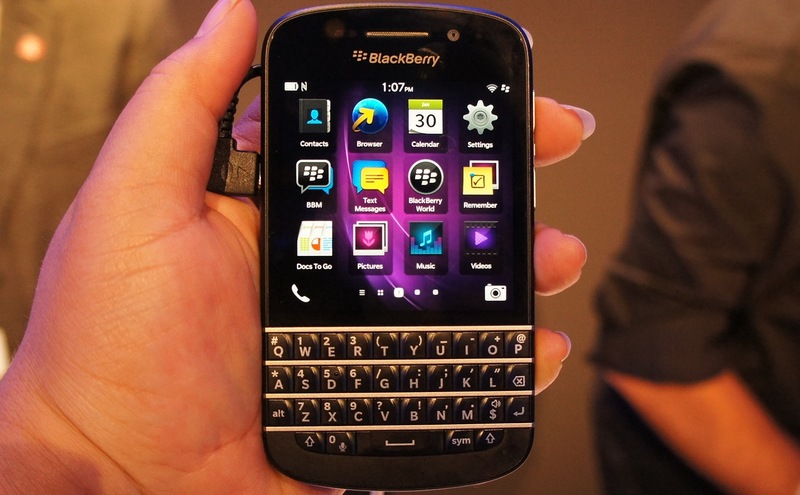 The BlackBerry Q10, with its physical keyboard, stands out in the modern smartphone world and has the potential to be a hit for both BlackBerry and Sprint. Like its touchscreen sibling the BlackBerry Z10, it’s powered by a 1.5GHz dual-core processor and 2GB of RAM, plus it has an 8-megapixel camera, 16GB of storage capacity, and will come with BlackBerry 10.1 already installed. Its OLED touchscreen measures 3.1-inches and has a 720 x 720 pixel resolution. Sprint has taken the unusual step of ignoring the BlackBerry Z10 to concentrate on the BlackBerry Q10, however rumors have spread the network has already signed up to take on a future touchscreen BlackBerry phone. During BlackBerry Live, the BlackBerry Q5 – a lower cost version of the Q10 – was announced, so an equivalent all-touch phone, perhaps called the BlackBerry Z5, may follow in the near future. It could be this phone Sprint will end up carrying. In the meantime, we must settle back and wait for Sprint to share the final details, such as the price and an exact release date, concerning the Q10.